Hooray! You’re going to Disney World! But, Disney World is a big place with tons of stuff to do. You know you need a plan, but where to start? And when? It can be overwhelming, especially when planning your first trip. The best Disney World plan is one that is customized to your family’s interests. So, here are some quick tips for planning a Disney trip that will be perfect for your family. The first step in planning your trip is knowing when to start. Many Disney novices are surprised to learn just how early you need to begin this process. In order to maximize your options, you really need to start your trip planning more than 6 months before your arrival. This will give you time to do your research and make choices before your window for various reservations open up. If you are already within that 6 month period and haven’t started, don’t worry. You can still make a great plan for your family. You will just have to do things a little faster. The earlier you get started, however, the better. 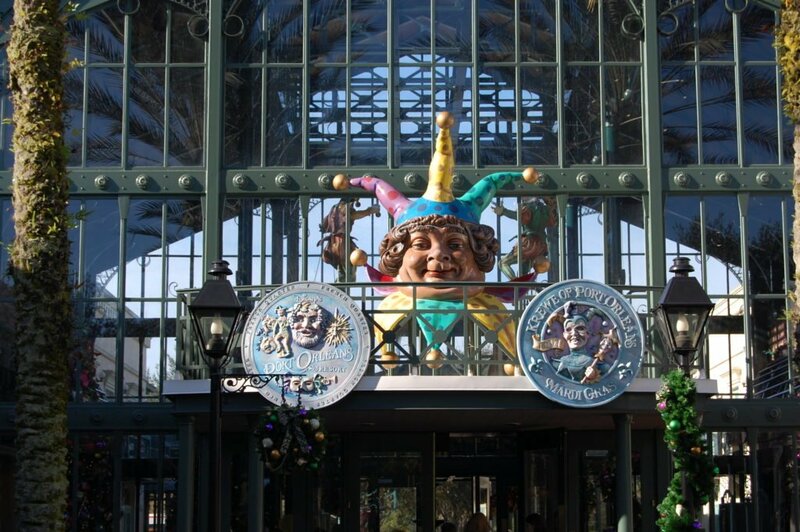 Disney’s Port Orleans French Quarter is a great resort for your stay. Now that you have your timeline in place for planning, it’s time to start making some decisions. The first big one: where to stay. There are an endless number of options to choose from in the Orlando area. Do you prefer to stay in a onsite hotel at Disney World or off property? Would you rather stay in a hotel or rent a vacation home? While this is a personal decision that will differ from family to family, I would recommend reading why you should stay on property before you decide. The next thing you need to decide is how long to stay. 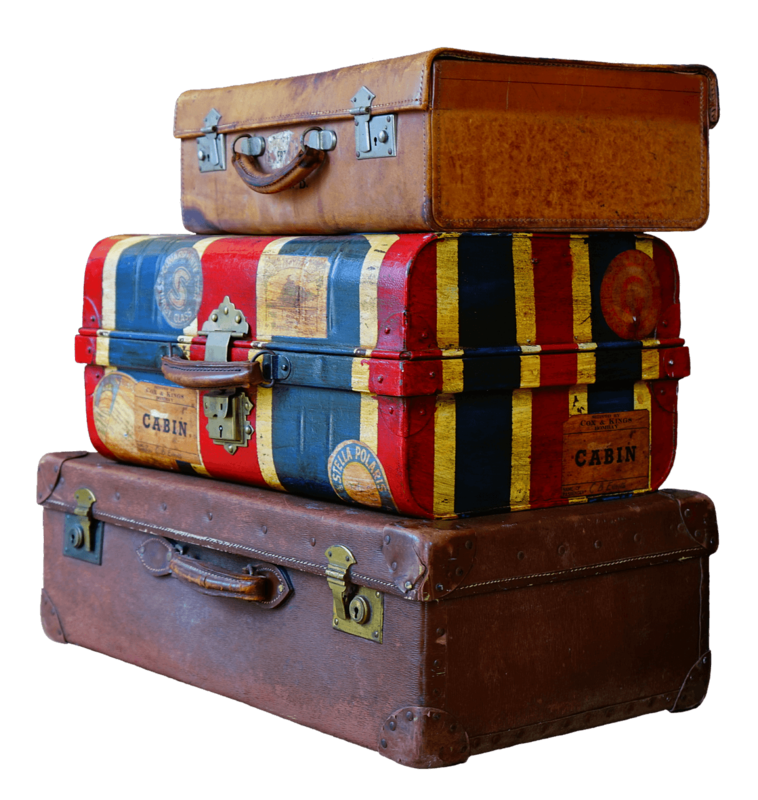 While real-life considerations, like available vacation time and budget, will play into this decision, the longer your stay, the better your trip will be. I recommend staying at least 4 full days. But, seven to ten days is a perfect length for a Disney World trip. This will give you a full day in each park with a few other days to revisit some of your favorites or enjoy some of the out-of-park offerings. A full week at Disney World will also prevent you from feeling rushed to fit it all in. 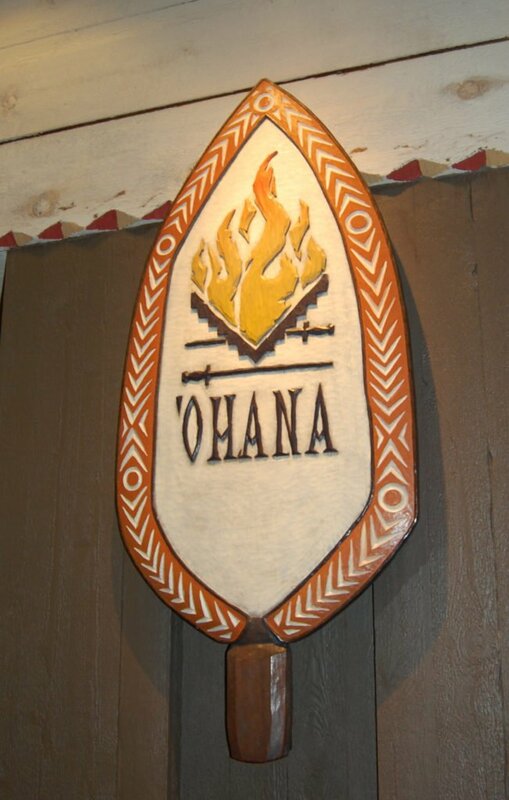 ‘Ohana is our favorite table service restaurant on property. Now, I know it may seem crazy to plan where you want to eat on vacation 6 months in advance, but at Disney World, this is a must. It is almost impossible to get into any of Disney’s table service restaurants without advance reservations. You are able to make these reservations, beginning 180 days before your trip. It is extremely difficult to snag a reservation for the most popular restaurants on property if you don’t make it 6 months out. There are over 50 restaurants scattered around Disney World property. So, it will take you some time to decide where you want to eat. You can find a list of menus for all Disney World restaurants at allears.net. And remember, you don’t have to be staying at a Disney World hotel to eat at the restaurants there. The next item on your planning agenda is to make fastpasses. What is a fastpass? It is a reservation to experience a specific ride or attraction at a particular time versus waiting in the stand-by line. You are allowed to reserve 3 fastpasses per person per day. Your fastpasses for the day must all be in the same park. These will definitely save you some time while ensuring your family gets to experience the rides they are most looking forward to. If you are staying in a Disney World hotel, you can start making your fastpass selections 60 days before your arrival. If you are staying off property, you can begin reserving fastpasses 30 days in advance. 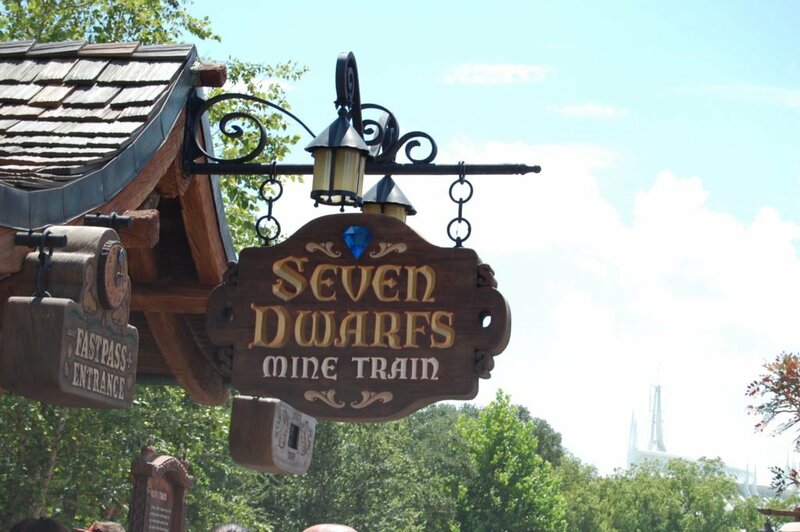 We always get a fastpass for Seven Dwarfs Mine Train. Once you have made your fastpasses selections, you need to decide what other rides and attractions within the parks are must-do’s for your family. In order to avoid long wait times, hit up the most popular attractions early in the day. By making a list of things to do in order of preference, you will be able to enter the park each day with a plan. This will prevent your family wasting time standing around discussing what to do next. For help with making a plan, look at the plans on touringplans.com. 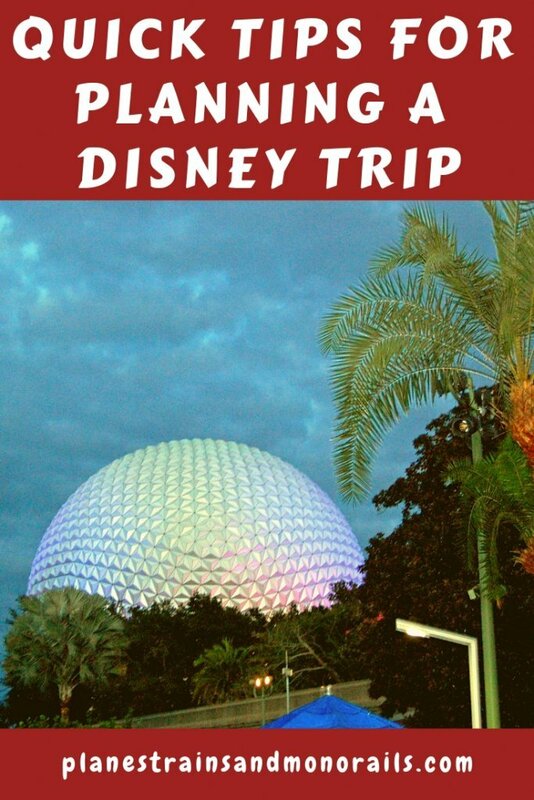 For some ideas, see my magical must-do’s at Magic Kingdom, Animal Kingdom, Epcot’s World Showcase, Epcot’s Future World, Hollywood Studios, and for kids. Many people don’t realize that there are many amazing things to do outside of the theme parks at Disney World. There are four golf courses, two miniature golf courses, a bowling alley, a movie theater, and more. You can also go fishing, parasailing, horseback riding, shopping, learn archery, attend a dinner show, or watch a movie under the stars. While planning your trip, explore these out of park experiences. You may want to take some time during your trip to get away from the crowds and enjoy some of these extras. 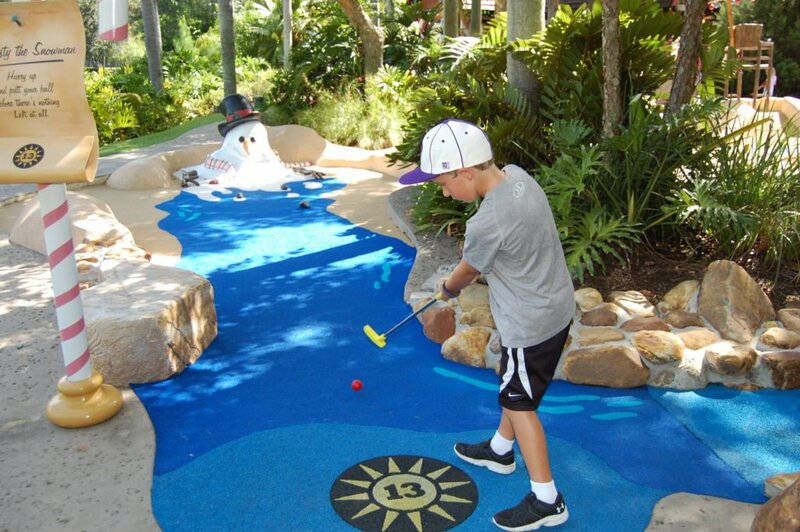 My son playing miniature golf at Disney World’s Winter Summerland. Going to Disney World can be overwhelming, but it doesn’t have to be. No need to fret, just take it one step at a time. These tips for planning a Disney trip will serve as your quick reference guide to create a customized plan perfect for your family! For more detailed information, look at my step-by-step guideand the best resources for planning a Disney trip. Have a great trip! Happy travels!